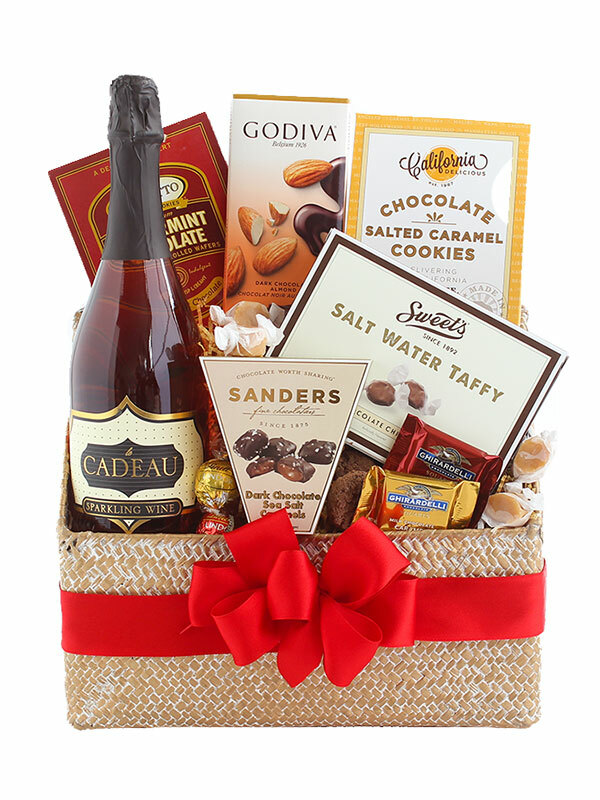 Pamper mom with a luxurious basket filled with spa-day essentials. 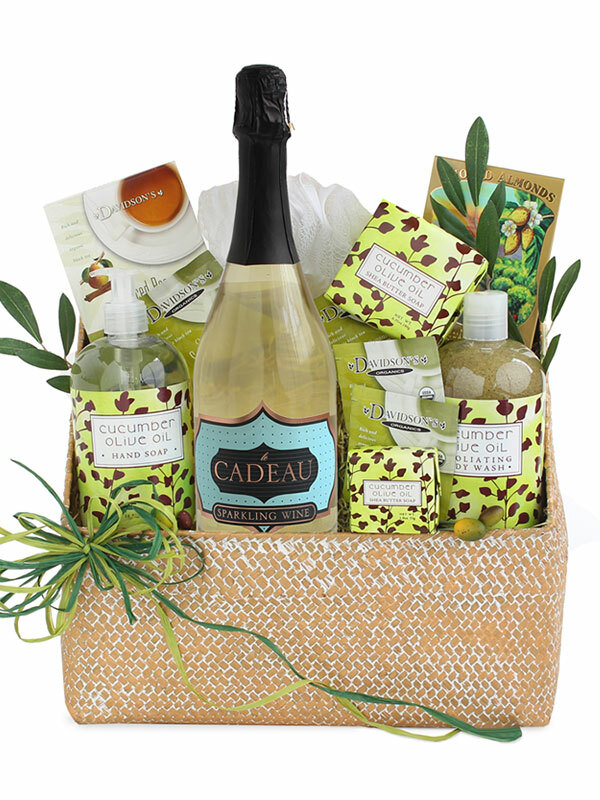 This lush gift basket features cucumber olive oil body wash, hand soap, mini soap, bar soap, a loofah, Tazo Tea and smoked almonds, plus a bottle of our elegant le Cadeau Brut Sparkling Wine so she can relax and unwind. Available through the end of May, while supplies last.